There is not such an amazing variety of styles and subjects in the current exhibition of paintings by Yun Gee at the Montross as was true of his somewhat retrospective last year. 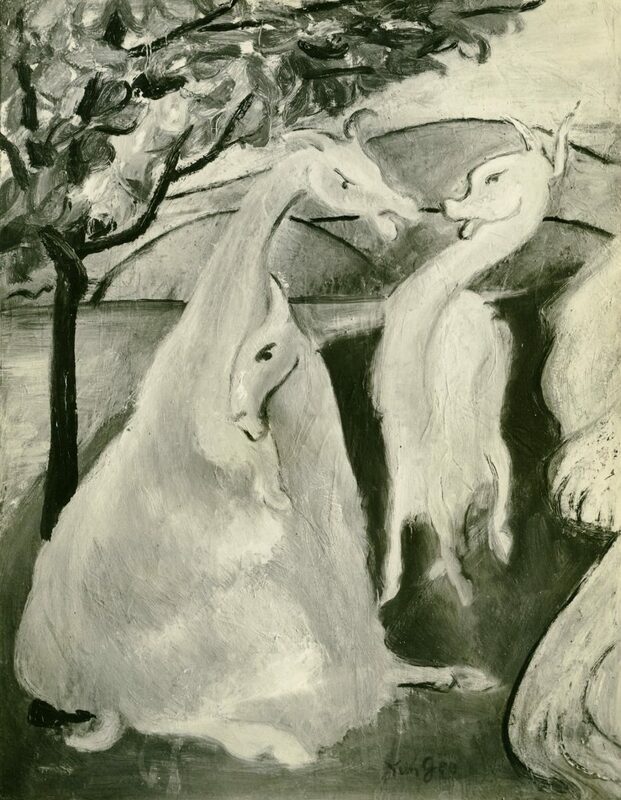 There are, to be sure, portraits of Confucius and Lao Tze and Ambroise Vollard (the late connoisseur circling one eye with his fingers to appraise the better what he is looking art); and there are landscapes that range from Versailles to a lake in Central Park. This last presents that touch of fantasy one has learned to expect from this ultra-versatile oriental painter, the touch in this case being an animal (unicorn or donkey) frightening and apparently frightened by birds. 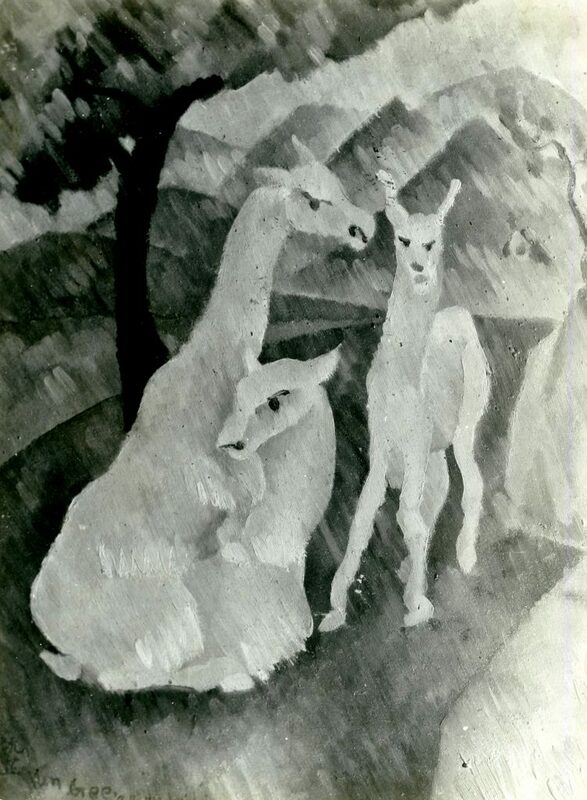 There is a painting, too, of llamas whose formal presentation should appeal to our best Picassoids. Flowers, a Madonna and a pigmentarily explosive view of San Francisco’s Chinatown are other themes which have found expression.